Ombre is the gradual change of a color from dark to light. You will find this color melting effect all over in hair styles and nail art. While typical ombre stays within a single color beautiful palettes are created when changing between analogous or even contrasting colors. Knitted and crocheted garments and accessories have long incorporated this color effect, both with a single color and using a contrasting colors. Like Fair Isle, it is a convenient method to use up two different skeins of yarn when you don't have enough left of either to complete a project. Ombre is a fun technique that can be accomplished a few different ways. 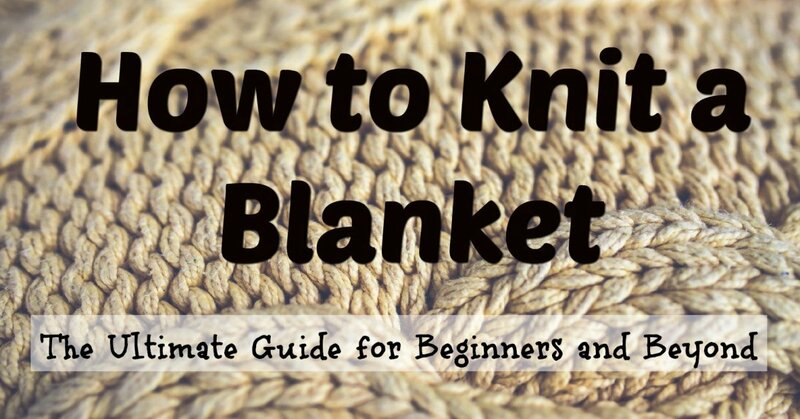 All you need to know is the knit stitch! 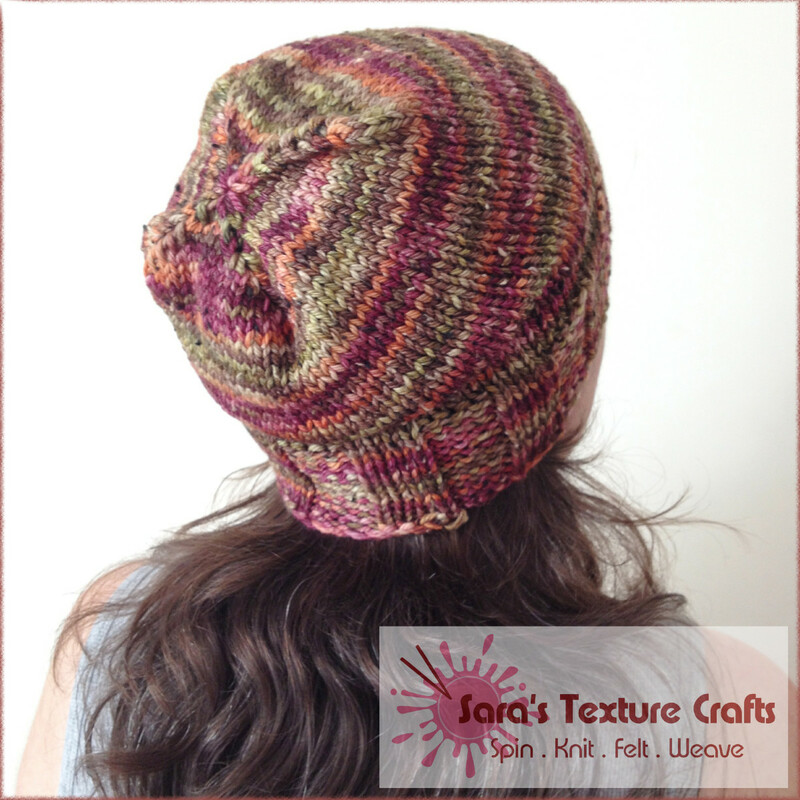 There are a few different methods of achieving an ombre color effect in your knitted work and the good news is all you need to know is the basic knit stitch to incorporate this design into any of your work! 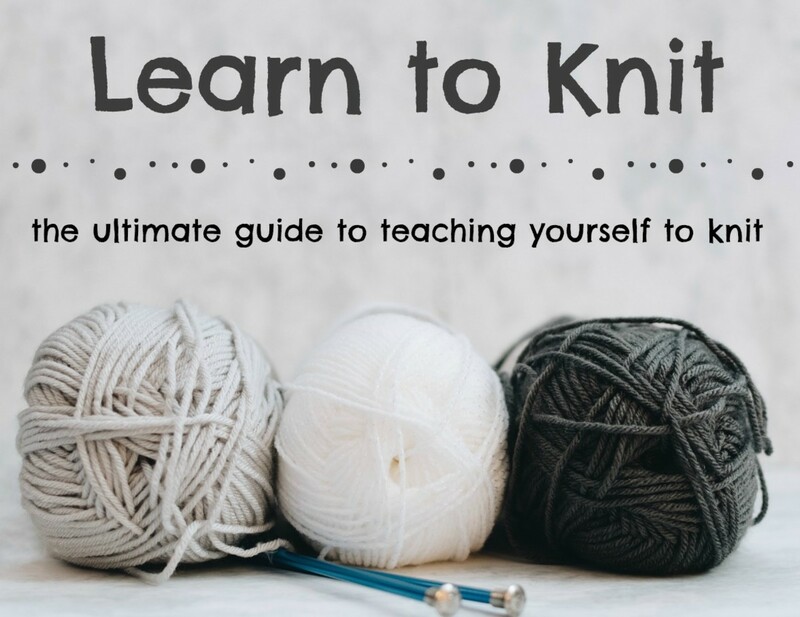 The method you chose will depend on the yarn you have available, the gauge you are knitting and the style you want to create. Each method is detailed below with recommendations for the types of projects to use for each. For this method you will select different colors of yarn you want to transition through. Since you are relying on the colors to change gradually in this method you will want as many in between shades as you can get into your project. 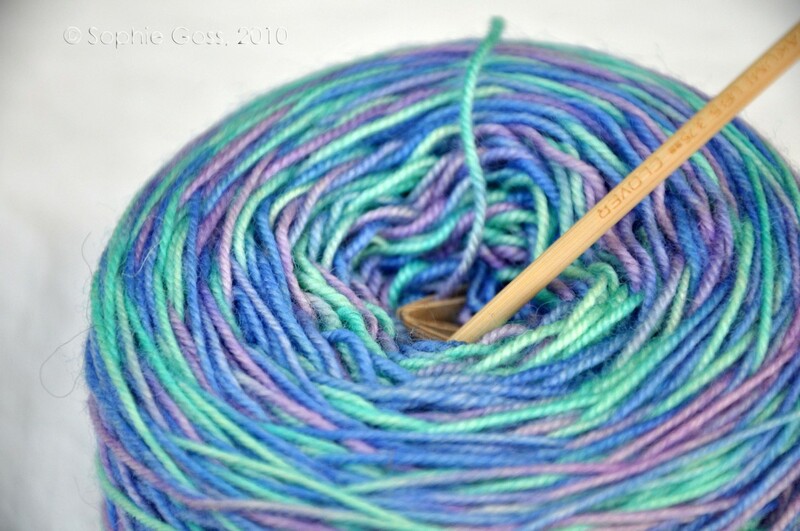 While knitting a color transition you knit thin stripes (usually a single row) of alternating colors. 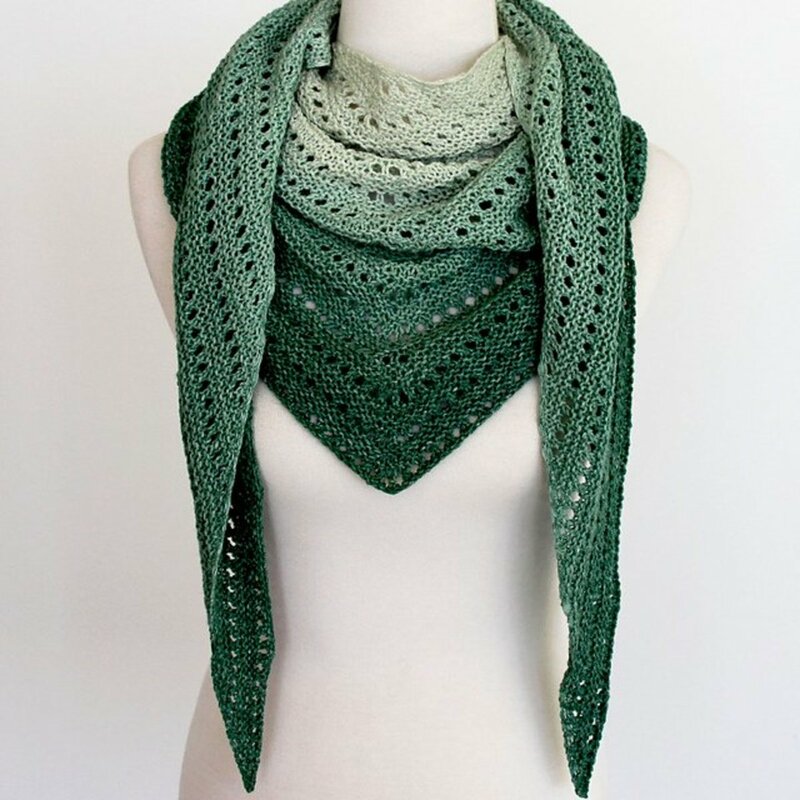 The green shawl above uses a combination of this method and basic lace knitting. This method requires upfront planning and a good eye for color but the results are gorgeous. 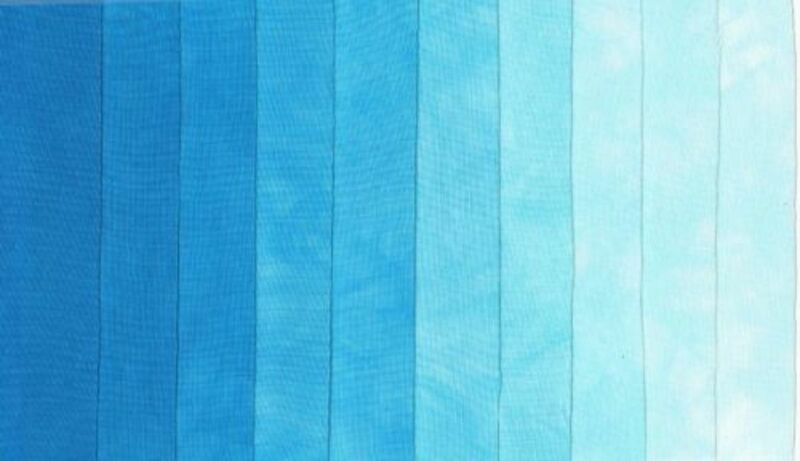 While this method requires purchasing more colors of the same yarn to create the effect, once you have the material the method is very versatile. Keep in mind though, you're going to have to tie in all those ends when you're done! In the self-striping yarn method you simply use a yarn that already has the beautiful color fading effect. There are some beautiful yarns out there that as you knit from beginning to end of the skein the color gradually changes. These can be hard to find because most variegated yarn tends to be contrasting colors in quickly repeating stripes. While this approach is probably the most simple during the actual knitting (there's no manual color changes involved) it does require planning to begin with and only works when the color change you want in your project lines up with the yarn. This means you cannot change the size of the garment during the color change, as you commonly would in a hat, because the rate at which the color changes would increase as the diameter of the garment got smaller. This makes this method best suited for garments that have a fairly consistent size thorough out, like a scarf or cowl. 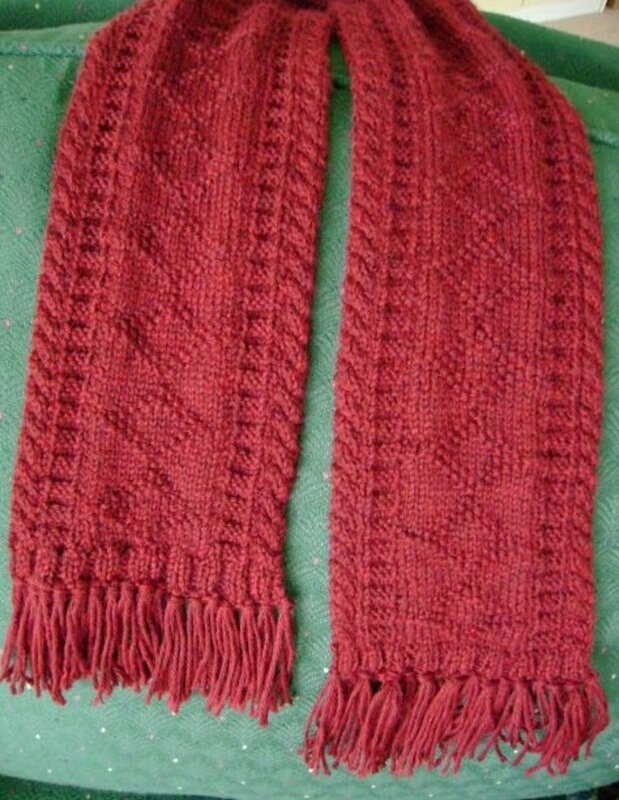 Another way to achieve the look is to knit the first section in your first color and then gradually introduce stitches knit in the second color until you are knitting only the second color. This method requires a little more attention, skill and yarn management (unless you want both colors tangled together hopelessly before you're done, ugh) but the benefit is it gives you control of when and how gradually to change the colors. An ombre color change with this method is simple to do even through changes in the width of a garment. This is great for anything knit in the round (since you'll want to hide the strands on the wrong side) like mittens, socks and hats. 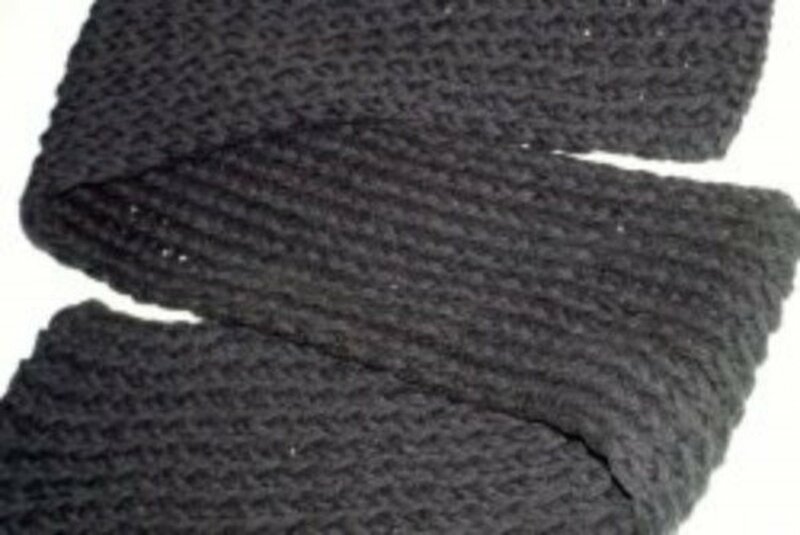 In this method two strands of yarn are knit at once (also known as double stranding). The idea here is the same as using the above stranded knitting technique where you gradually increase the number of knit stitches with the new color. To create the ombre look with this method start knitting with two strands of the first color, switch to one strand of each color and then change to knitting with both strands of the second color. 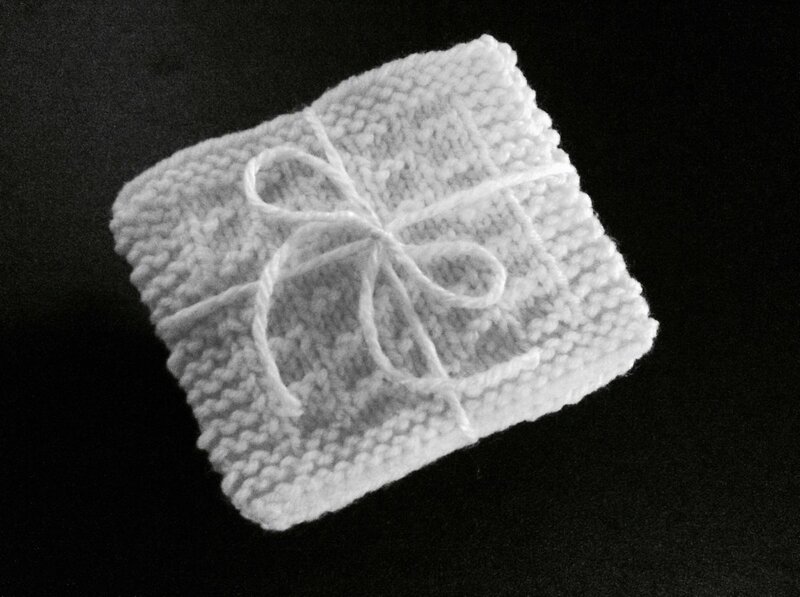 The resulting effect will look like you used two colors of yarn with a striped yarn in between. This technique is simple and easy to use as long as your project is knit double stranded. So this applies best to accessories with a chunky look or something you're making with sock weight yarn. Some of the most striking ombre knitting patterns out there combine two or more of the above methods. The free pattern below uses the Fair Isle approach while incorporating two strands as an easy way to create a more gradual effect. 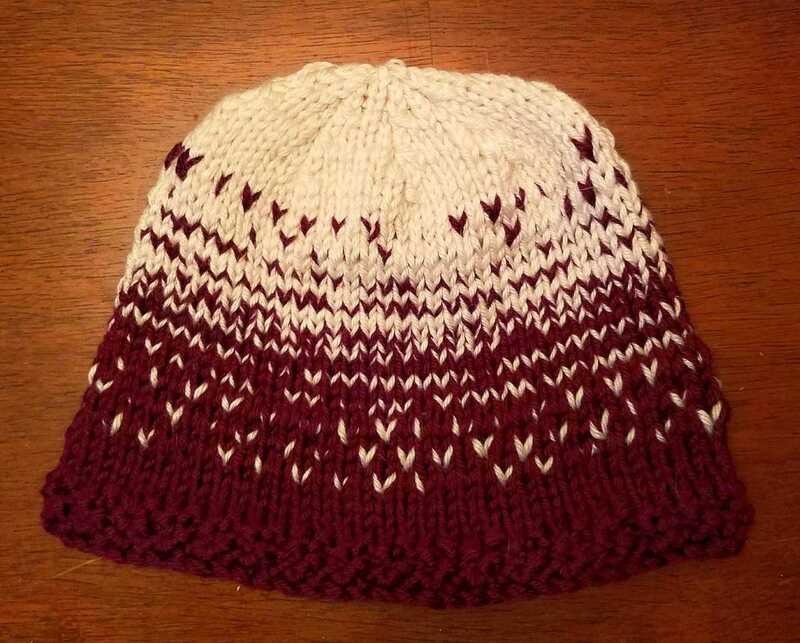 Deep Purple to White Ombre knit hat, with the double stranded and Fair Isle method. What is your favorite knitted item that incorporates an ombre effect?